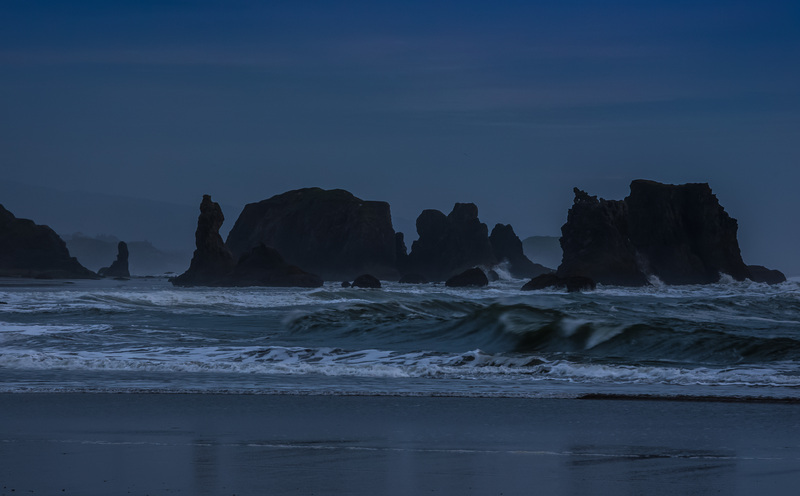 As the blue hour begins…the time when any light available after the sun has set shows as predominantly blue…fog begins to build along the coast. The wind also seems to intensify…although that might be more imagined than true, because the temperature has begun to fall rapidly. The beach is now nearly deserted, and everything seems to focus particularly on the sound of the waves and the speed of the approaching surf. Yep, fell to like 51 or something! Almost freezing….